This week was busier than expected, and I didn’t get to get online to post what I ate for the last several days. Mostly because I came down with a cold on Sunday, and that cold, as all colds do in my life migrated into my sinuses and lungs. I spent the better part of my day in the clinic getting a Netti Pot, Tylenol C, and an Nebulizer. Did I mention my absolute love for CP Rail (if you want the long story, read follow the link. Short story– nearly every illness I get ends up with me on antibiotics, I am trying to avoid them like the plague I have). Anyway, the results of this week on the diet have been. 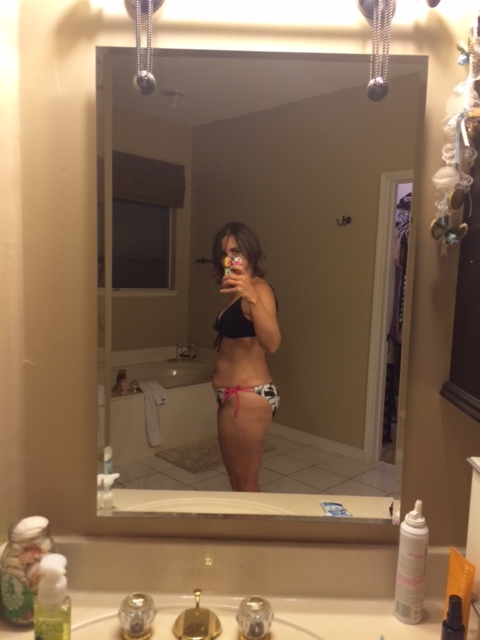 Weight: 140 (down 4 pounds!). My exercise has been next to none, due to the cold, but my eating has been on target. 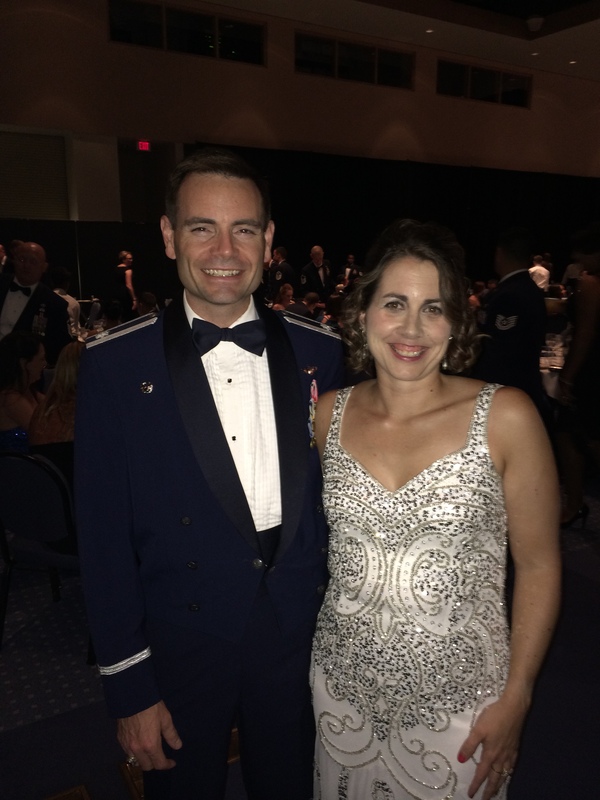 My husband and I attended the Air Force Ball on Friday night, which was before said wonderful plague. We “enjoyed” an evening listening to General Harris speak (which if you get the opportunity, I recommend listening to General Harris speak), eating some mediocre food, and we left before the DJ really got the party started. The DJ sucked something awful, General Harris tried to redeem him on the dance floor, but when he began playing Gangsta Rap, there was no going back. Workout: The One Run 5K race. I finished the run in 25:51, and placed 3d overall, and 2d in my age group 🙂 (though I only will receive the award for the overall placement. I was so happy to run for my son’s school. All the proceeds went to the Scholarship Fund. There were around 140 runners running yesterday. I was a little bit slower than usual, but I attribute that to an evening run, outside in heat of the afternoon. Additionally, along the water, there was quite a headw wind. On a very, very positive note, I weighed myself after 3 days on “the diet”, and I have lost 3 pounds! I don’t think I could this few calories during high mileage days/weeks. But this was enough food for a 10 mile day. In 2005, I gave birth to Sophie, and thus started my weight loss story. It never really finished. I fluctuated between 150 pounds and 135 pounds. Looking at these pictures you might say, you really aren’t fat. This journey isn’t about fat, or thin. I know that many, many people would be ecstatic to be the weight I am right now. I, however, am not happy at this weight. In 2009, my husband ran Boston Marathon. He worked for years and years to get there. I’m about to run New York City Marathon, and I am excited about running the race, but I’m not entirely satisfied. Since I restarted doing marathons and half marathons in 2008, I have wanted to run Boston Marathon. My heaviest running weight was 152. I ran OBX Marathon in 5:12 hours. My lightest running weight was in 2013, I ran Atlanta Publix Marathon. I weighed 135. I finished in 4:05 hours. I had a strict regimen of eating, Cross Fit three days a week, and running over 50 miles a week. I know that it is too late to really change too much for NYC Marathon. I cannot suddenly start Cross Fit, and maintain my running schedule without risk of injury. The only thing I can do right now 6 weeks before the marathon is change my diet. Which is what I am going to do the next 21 days. I intend on continuing the diet until I hit my ultimate goal weight, then I will go on maintenance. I never did before shots, so here are my before shots. Unfortunately, I will not be able to post my measurements, as I cannot for the life of me find my damn tape measure. It is hidden somewhere in this house :).